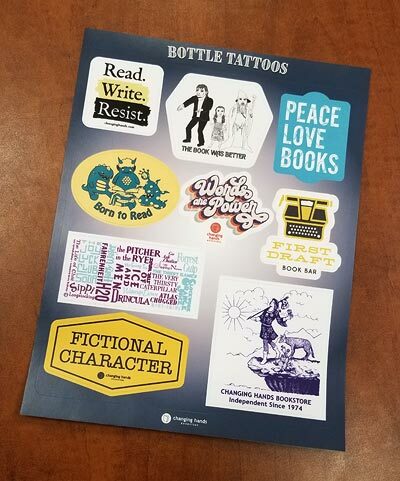 One sheet of bookish vinyl decals to decorate your water bottle. Click "add to cart" below. We ship anywhere in the United States and to most international locations. You can also select "in-store pick up" when you check out, and save some green on shipping.